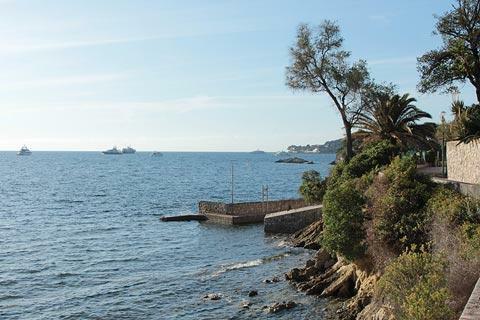 Cap Ferrat is a peninsula into the Mediterranean just south of Villefranche-sur-Mer and close to Nice on the French riviera. Although a substantial part of the peninsula is now home to the very wealthy who live in luxury villas behind closed entrance gates and high hedges, there are still several attractions and a lovely coastal path for visitors to enjoy. 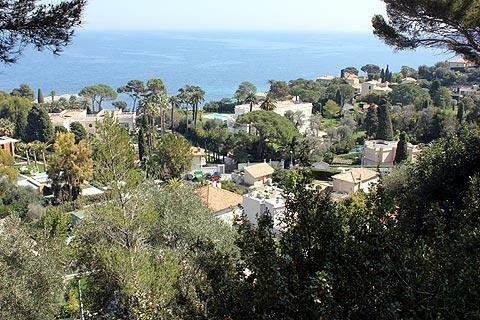 The early development of the peninsula towards the end of the 19th century was due to King Leopold II of Belgium, who established a substantial villa and gardens here. 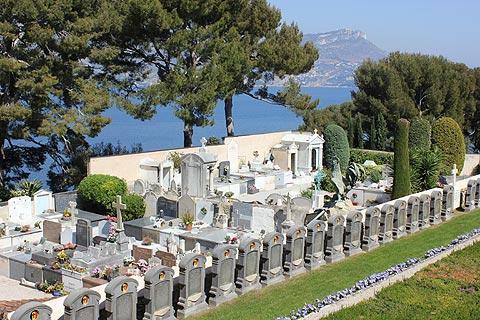 The location later attracted other rich and famous people such as Somerset Maugham, the Duke and Duchess of Windsor, David Niven and Edith Piaf, and Cap Ferrat is now said to be the second most expensive place in the world to live (the first is Monaco). 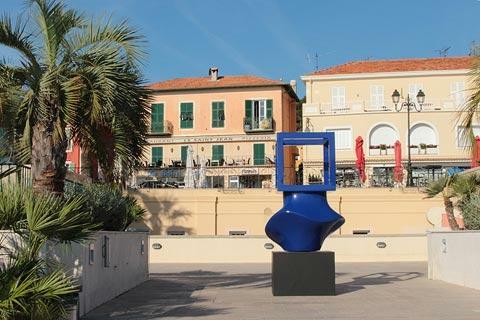 The main town on Cap Ferrat is Saint-Jean-Cap-Ferrat on the east coast, that has a harbour full of small pleasure boats and a small town centre: there is not a great deal to see but many of the houses in Saint-Jean-Cap-Ferrat are painted in bright colours and the town is pleasant to explore. 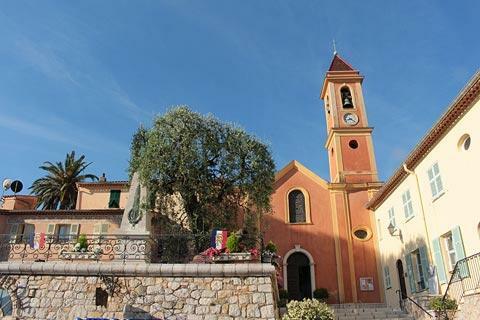 The main religious monument at Saint-Jean-Cap-Ferrat is the brightly painted little church of Saint John the Baptist. 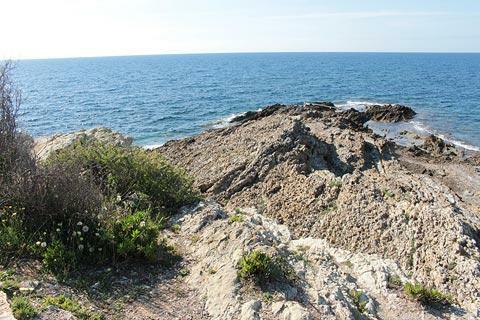 There is a small headland to the east of the town where you will find one of the most popular beaches on the peninsula, Paloma Plage, and the small Chapel Saint-Hospice and Madonna. 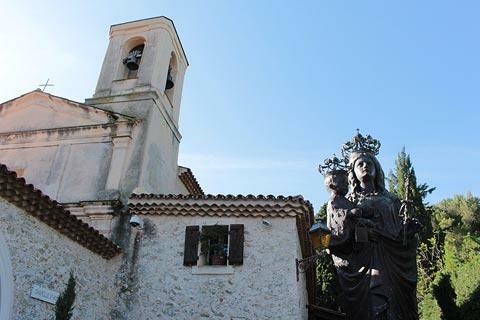 The chapel is small but the statue of the madonna next to the chapel, added at the beginning of the 20th century, is very large! There is a Belgian war cemetery next to the chapel: the cemetery has an area containing the graves of soldiers injured on the battlefields during the First World War who were brought here to be looked after but did not survive. 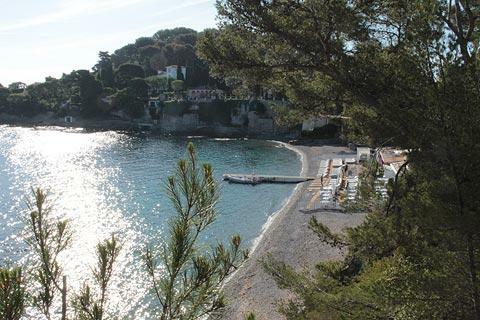 It is true that a great deal of the coast of Cap Ferrat is rocky but you can also find beaches at the Plage des Fosses, on the southern edge of Saint-Jean-Cap-Ferrat, and at Plage de Passable, on the north-west coast of the peninsula overlooking Villefranche-sur-Mer. 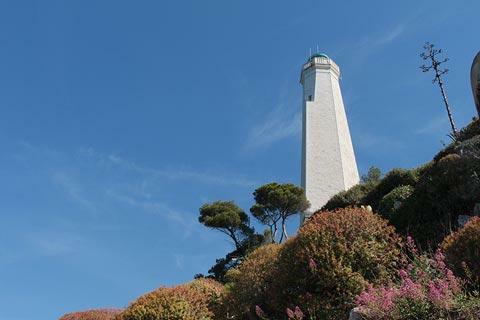 Elsewhere to discover on the cape there is an attractive coast walk; the renowned Villa Ephrussi and its gardens; and a lighthouse. 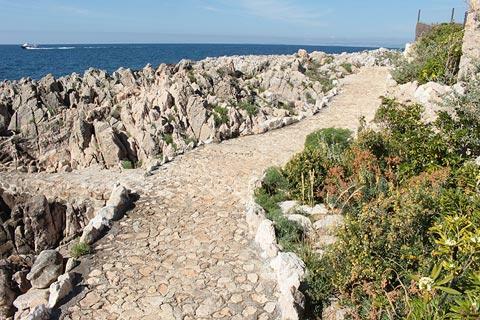 A very lovely walk follows around the coast of Cap Ferrat for about seven kilometres (ten kilometres if you also walk across the top of the peninsula). 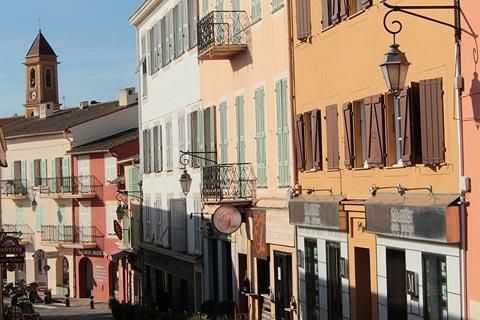 The route is also an excellent jogging route if you are full of energy and staying nearby! 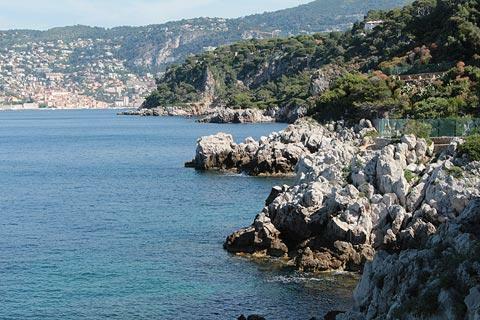 Hikers usually start at either the beach at Passable (on the north-west of the peninsula) or in Beaulieu-sur-Mer (to the north-east). Of course you can walk in either direction but we would suggest you follow the route in an anti-clockwise direction for slightly better views. 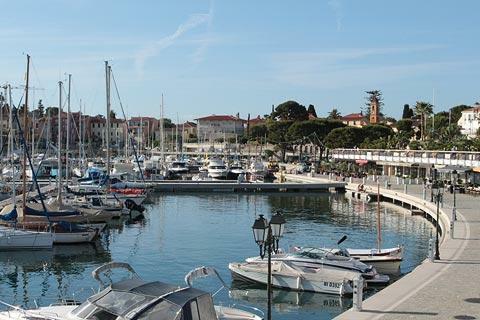 It is an easy mostly flat walk but can seem very long on a hot afternoon, especially if you deviate to explore Saint-Jean-Cap-Ferrat and the chapel, so bring plenty of water and something to eat: outside the town there are no shops or cafes. 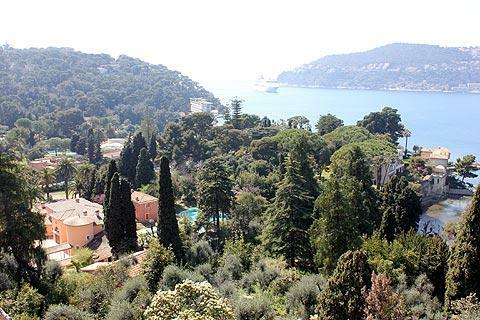 With the sea to one side and gardens and forested slopes to the other, this is really a very beautiful walk with some magnificnt coastal scenery and views across to Villefranche-sur-Mer and Beaulieu-sur-Mer. 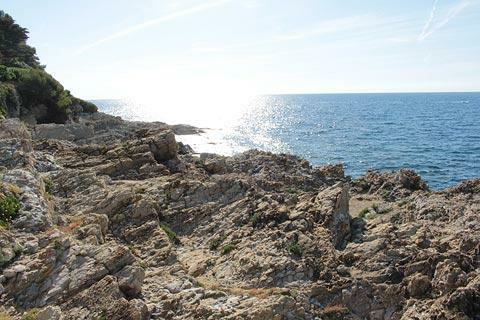 At the southern end of Cap Ferrrat you will pass a lighthouse (the lighthouse was built in 1951 to replace a 19th century lighthouse here that was destroyed during the Second World War) and the Grand Hotel, surrounded by beautiful gardens. The Villa Ephrussi, in the northern part of Cap Ferrat, is one of the finest villas on the riviera and surrounded by exceptional gardens. 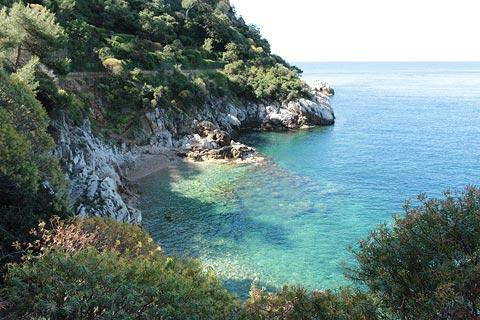 Built by Beatrice Ephrussi de Rothschild in the early part of the 20th century the villa is open to the public and will certainly be among the highlights when you are exploring this part of the riviera. 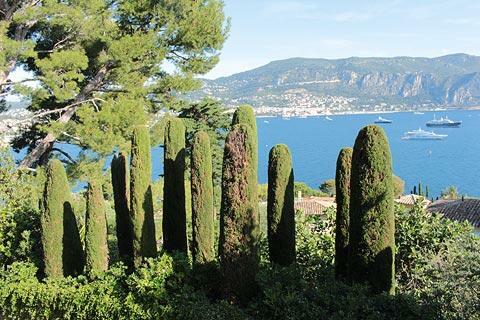 See Villa Ephrussi for details. Another interesting villa, built in the 20th century in the Ancient Greek style, is nearby at Villa Kérylos. 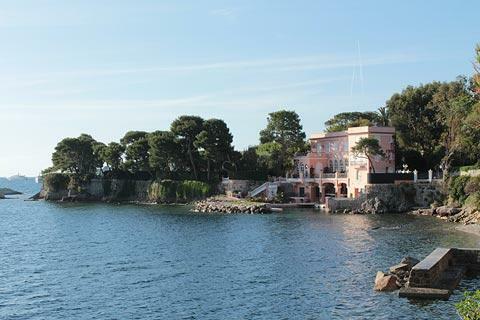 If you are planning to visit both Villa Ephrussi and Villa Kérylos you can buy a reduced price entrance ticket that includes entrance to both villas. 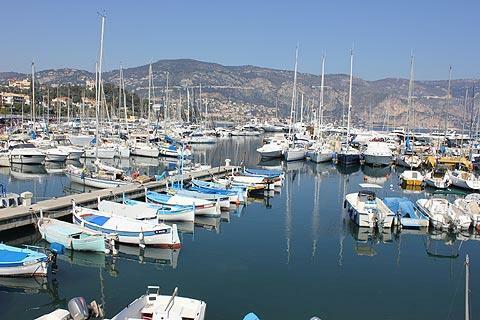 The two towns to the north of Cap Ferrat are Beaulieu-sur-Mer and Villefranche-sur-Mer. 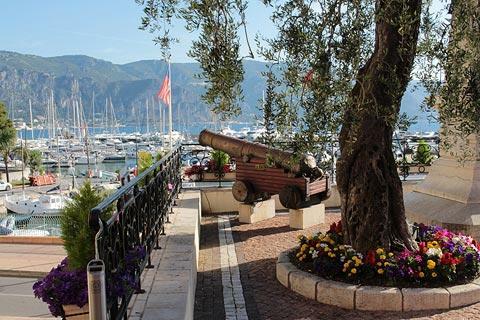 The two resorts are very different in style - Villefranche-sur-Mer is a traditional, colourful fishing port and Beaulieu-sur-Mer is a 19th century seaside resort - and both are very pleasant to explore.